Join Cave Roads Crazy Clipper Crew! Cave Road is the epicenter of the Highlands Nature Sanctuary, with miles of hiking trails, overnight lodges and the Appalachian Forest Museum. It is also an epicenter for much of our invasive plant removal work. Invasive plants such as garlic mustard, bush honeysuckle, multiflora rose, autumn olive, and privet have become a problem for this preserve. Join us for autumn olive removal on Barrett’s Rim, the Arc’s newest land acquisition on Cave Road. 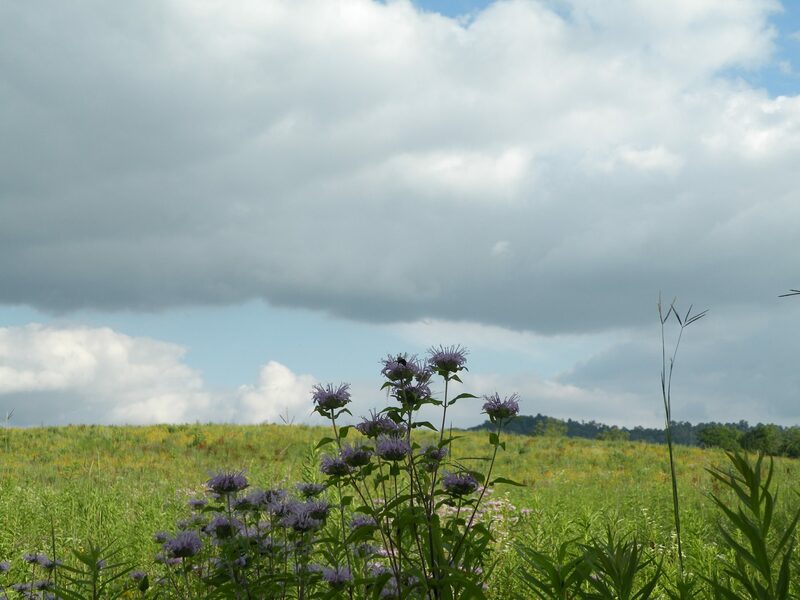 The Highlands Nature Sanctuary, the largest of the Arc of Appalachia’s preserves, lies between Rocky Fork State Park and Paint Creek State Park along the Rocky Fork Gorge in Bainbridge, Ohio. The Rocky Fork Creek, which runs through the middle of the preserve, is one of the Eastern Forest’s geologic treasures. Abrupt canyon walls rise up on either side of the creek up to 100 vertical feet, forming a narrow canyon composed of Silurian-aged dolomite. Over the millennia, huge blocks of stone have cleaved away from the canyon wall, creating a labyrinth of rock-scapes. 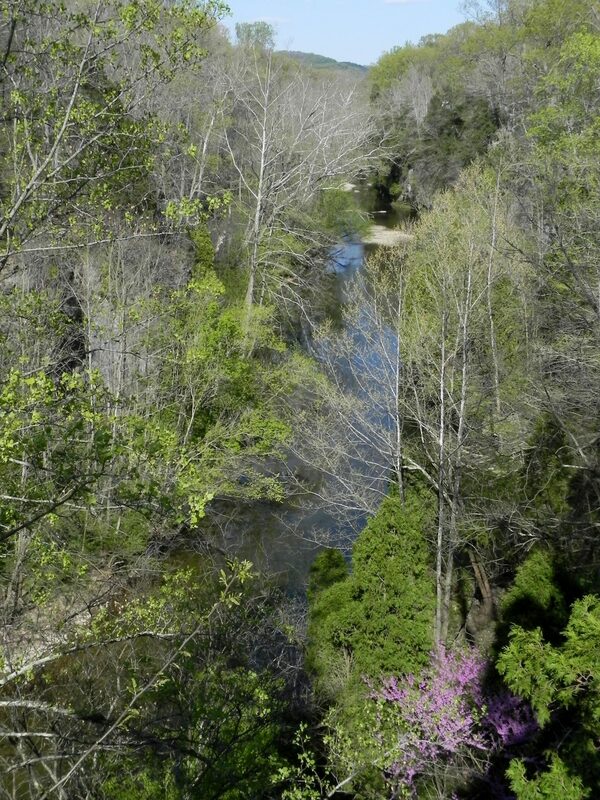 There is no place in the world like the Rocky Fork Gorge in the spring. 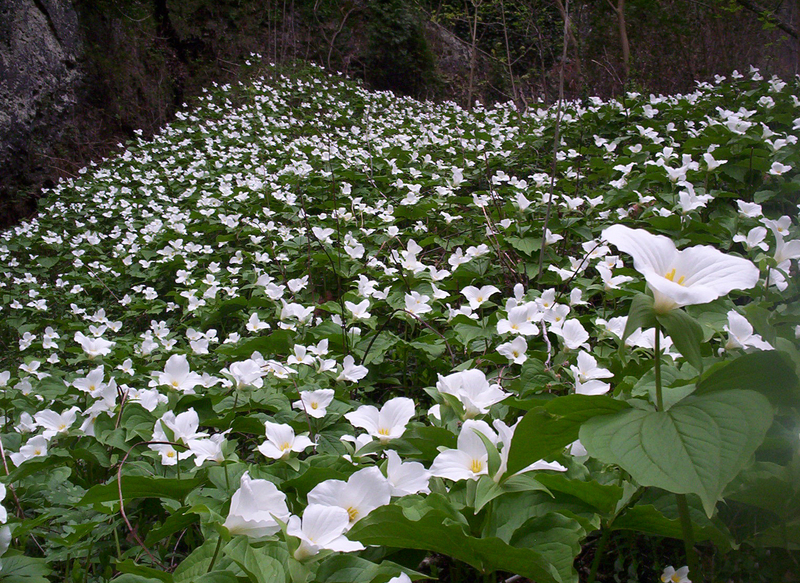 Not only do flowers grow in abundance in the loamy neutral soils of the canyon floor, but even the vertical stone walls and fallen boulders are covered with a living blanket of flowers: including snow, sessile and large-flowered trilliums, bishop’s-cap, stonecrop, shooting stars, wild ginger, celandine wood poppy, rue anemone, and columbine. Only limestone-based rocks fed with generous rainfall can produce such profusion — giving the mythical appearance of rocks dissolving into flowers — which, in terms if science, is quite true. Hikers walking in the gorge the third week of April find themselves in a landscape lush with a high diversity of flowers, during which time the Sanctuary is host to the annual Southern Ohio Wildflower Pilgrimage, a yearly celebration of this phenomenon. No invasive removal experience is necessary for this work day, and the tasks do not take a lot of physical endurance nor strength. Sawing or cutting invasive woody shrubs and canes at their bases does require squatting close to the ground, so workers on this task need flexibility and good joints. We will be applying herbicide in small quantities to the cut stems of the woody invasives, Volunteers will be trained in safe application. Please contact Kayla Hanning with any questions at services@arcofappalachia.org or 937-365-1935. 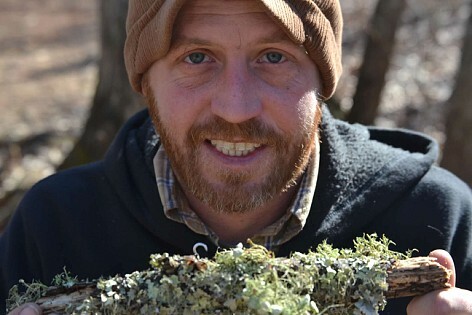 Brit Wood, Arc Employee and Cave Road Invasive leader.